Titan Nitro Piston Powered Air Rifle With 4x32 Scope | BUDK.com - Knives & Swords At The Lowest Prices! 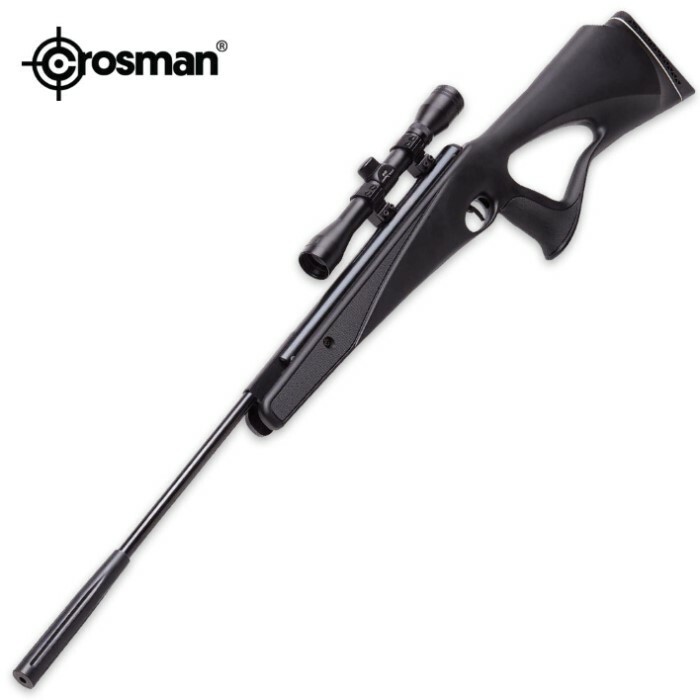 Impressively quiet shot with ultra-smooth cocking action and hushed precision is what makes the Titan Nitro Piston Powered Air Rifle an incredible addition to your gun-collection. The nitro piston technology allows this .22 caliber air rifle to deliver velocities up to 950 fps. The included CenterPoint 4x32 scope is ideal for the small game hunter.